When the patient has got short crowns because the gum covers too much of the teeth and makes them appear smaller, crown lengthening is often the most suitable treatment. Dental Artistry uses the latest technology such as Waterlase laser to laser back the gum and the bone, thus exposing more of the natural teeth and achieving aesthetically pleasing results for our patients. The treatment can be completed in as little as 2 appointments. The first appointment involves a thorough assessment of your teeth including the essential X-rays. Your doctor will assess the health of your gums and teeth and then provide with a personilised treatment plan. The second appointment is usually the final appointment when the treatment is completed using the Waterlase laser to lengthen your crown/s. The duration of the treatment is entirely case dependent and after your initial consultation, you will be informed about how long the treatment will take. 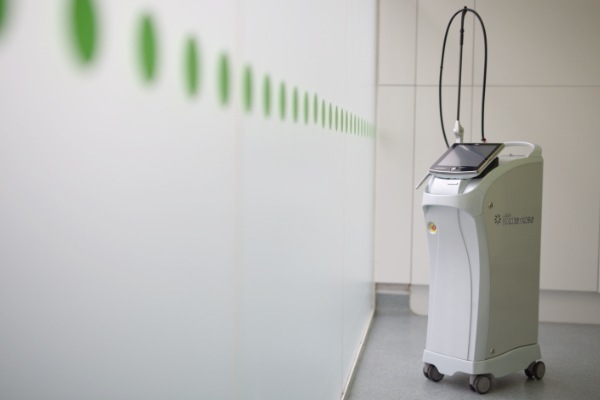 Our doctors use the latest equipment: Waterlase laser and we are able to provide patients with a pain-free procedure and fast healing recovery.